I’m a big fan of natural make up looks, especially in the Spring and Summer. During these (fast approaching) months, a good skincare routine and a little self-tanning is all you need to create a natural base for your looks. Makeup should also be kept simple, using only the essentials to add some pop to the eyes and glow to the cheeks. 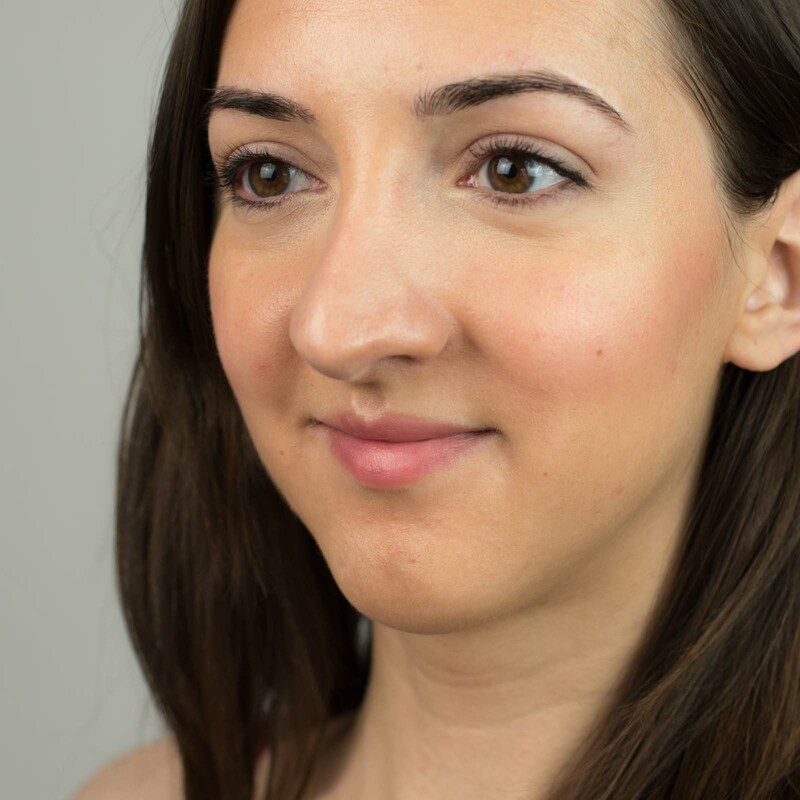 A natural, ‘no-makeup’ makeup look takes only minutes and will have you looking polished and glowing all day – keep on reading for the full steps! The first step (a sort of pre-step you might say) is to incorporate a self-tanner into your skincare routine. From my experience, self-tanners work amazingly well when it comes to creating a gorgeous base. They’re especially great because they minimize the need for heavy coverage makeup by gradually darkening and evening your skin-tone day-by-day. Once the color has built up, you may even find yourself leaving the house without foundation! Lately, I’ve been using the JERGENS® Natural Glow® FACE Daily Moisturizer and I really love it! Its formula feels surprisingly lightweight for a self-tanner, which makes it easy to smooth over the skin for even coverage and most importantly, an even tan. After about 3-4 days, it builds a natural looking ‘glow’ with a bronze-y touch (no harmful UV rays required!). For me, this creates the perfect base for a natural makeup look. Continue to apply the moisturizer morning and night until you’ve achieved the desired level of color, then reapply one to two times a week to maintain the color. Now let’s fast-forward 3 days after the color has built up, and move on to the makeup application. First, let’s play up the face by further enhancing it with a cream or liquid product that provides lightweight coverage. That way, your face will maintain a soft glow and your tanned skin will still show through. If you’re comfortable skipping foundation all together, then go for it! Otherwise, apply a combination of your favorite BB or CC Cream (I’m loving this one), tinted serum, or foundation mixed with an illuminator and moisturizer. Now for some natural ‘highlighting’ using a concealer. Choose a color that’s a shade lighter than your skintone, and apply under the eyes as well as on all the high points of your face – including your chin, nose, brow bone, and forehead (just above the brows). Spot cover any blemishes as well. When you’re all done, use your fingers to gently press the concealer into your skin and blend it in for a more natural looking finish. Next, for a natural look, it’s important to create full brows without making them look too dramatic. 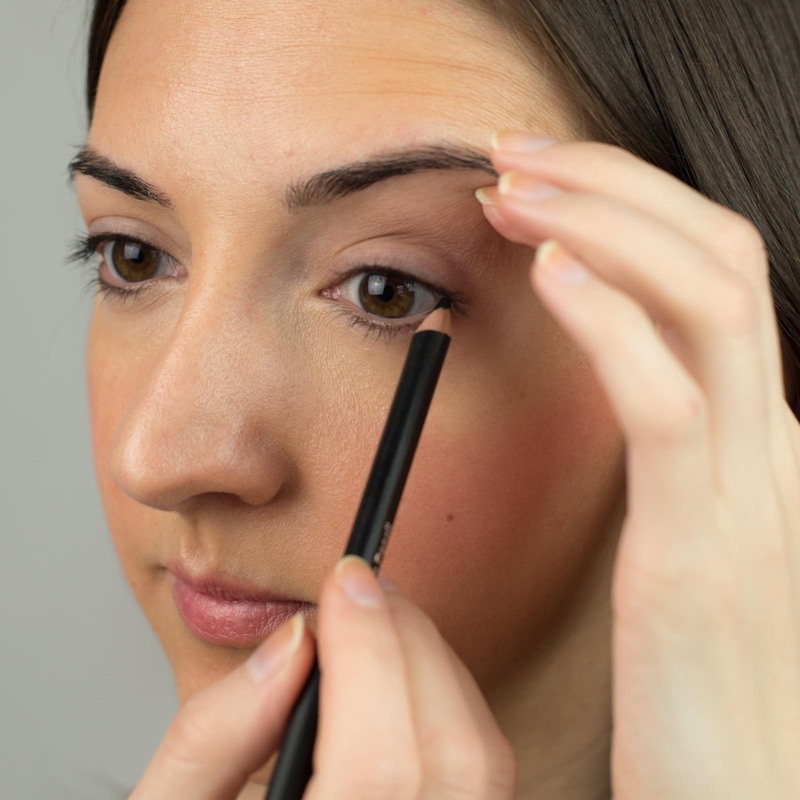 I like to use a fine brow pencil (like this one) or brow powder to add natural-looking fullness. Add some color your cheeks to create that ‘I’ve been out in the sun all day’ type look. Go for a blush color that leans toward your natural flush. I like to stick with cream formulas (like these from ILIA) because they keep your skin looking dewy, and make the color look like it’s ‘coming from within’. No need for a brush here, just dab it on your cheeks and blend out with your fingers. Next is the lips. Go for a tinted lip balm that will keep your lips hydrated and healthy looking, while enhancing your natural lip color. Here, I’m using the same cream blush that I used on my cheeks, which I find helps to tie the look together, and makes it come across the most natural. Next, take a black or brown pencil/gel eyeliner (whichever one most closely matches your eyelash color) and tight-line the upper lash line only (in other words, draw in-between your lashes only). This will create the appearance of naturally thick eyelashes without looking like you’re actually wearing eyeliner. It will still open up the eyes, and add a polished touch. Now it’s time to intensify the lashes a bit. First, curl your lashes. Then grab a lengthening mascara and start at the base of the lashes – really get close to the lash line – and press and wiggle the wand to add volume. Swipe out and up to separate, extend, and elongate the lashes. This will create a ‘tapered’ look which mimics the natural shape your lashes. A few quick swipes should be enough – no need to layer too much on. To complete the look with consistent, glowing skin from head to toe, I recommend using the JERGENS® Natural Glow® Daily Moisturizer from your neck/chest down. You can find all of JERGENS®’ Natural Glow® self-tanning products on Amazon – easy peasy when it comes to repurchasing. I know I’ll be using multiple bottles this summer to maintain glowing, tanned skin – the safest way possible too! Do you prefer natural, ‘no-makeup’ looks in the Spring and Summer? Are gradual glow moisturizers an important part of your routine around this time of year? Next Post FOREO LUNA 2 Review | How Does It Compare to the Original LUNA?